Decorative Arts: Colonial silverware of the 17th and 18th centuries, comprising solid sets, small wares, candelabras, communion service, etc. : XXXIII. Communion service, Christ Church, Cambridge, Mass. 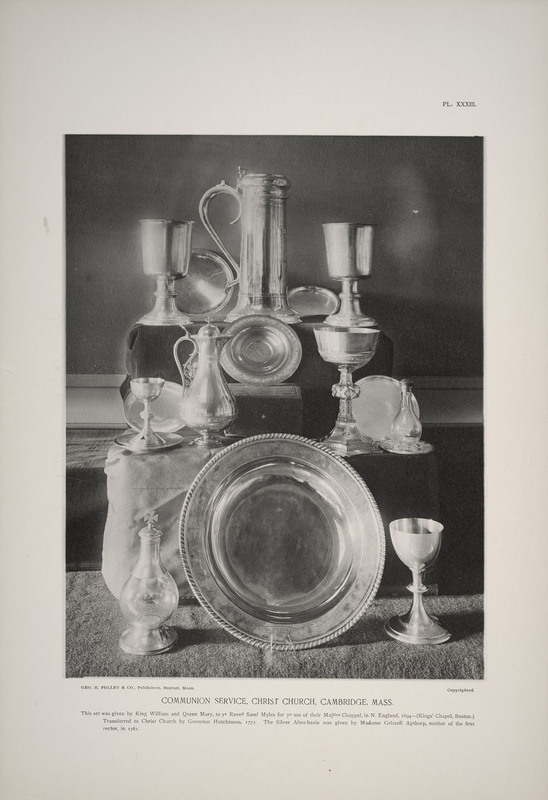 Elwell, Newton W. / Colonial silverware of the 17th and 18th centuries, comprising solid sets, small wares, candelabras, communion service, etc.